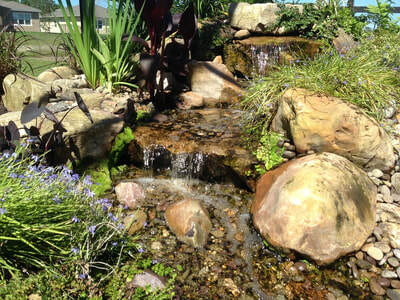 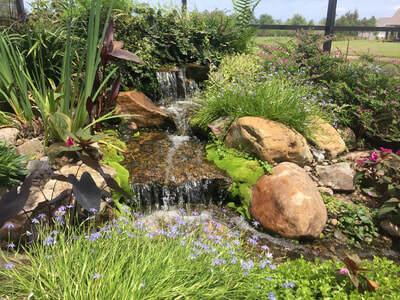 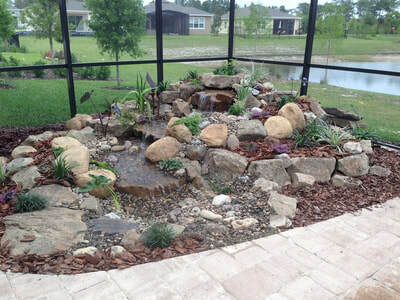 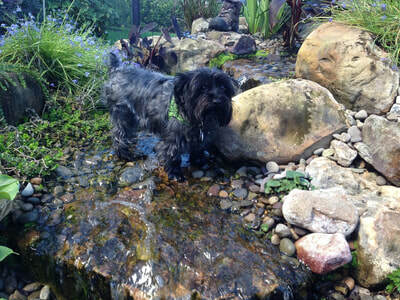 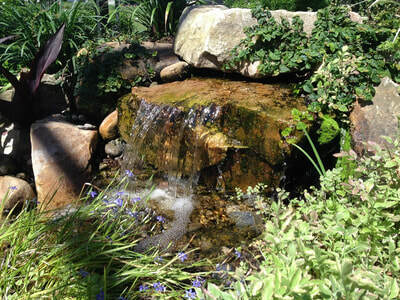 ​A disappearing pondless waterfall with 8' stream and 4 cascades of water. 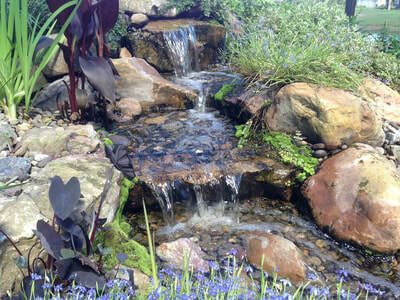 Each cascade has a 1 watt LED light to enhance the water flow and beauty at night. 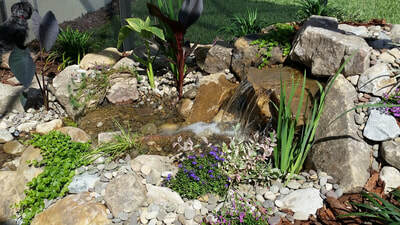 The bottom waterfall disappears into the underground basin that holds 150 gallons of water. 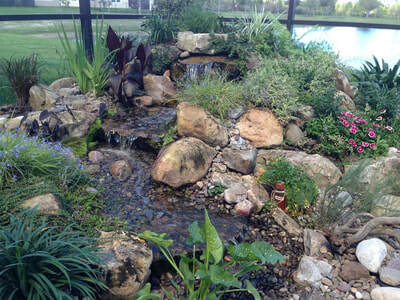 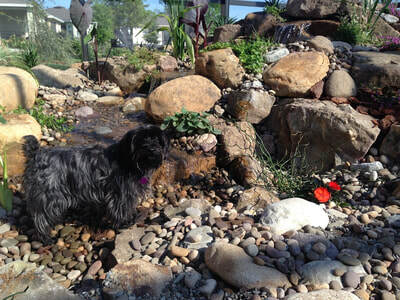 ​The water recirculates with a 2000 - 4000 gph variable speed pump.